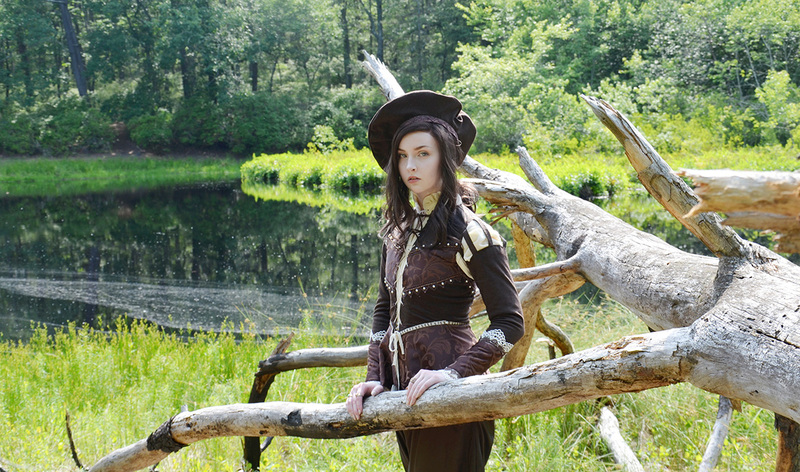 This is the final post about making my brown menswear inspired ensemble. Part one went up almost ten months ago, and part two was posted a couple months ago. 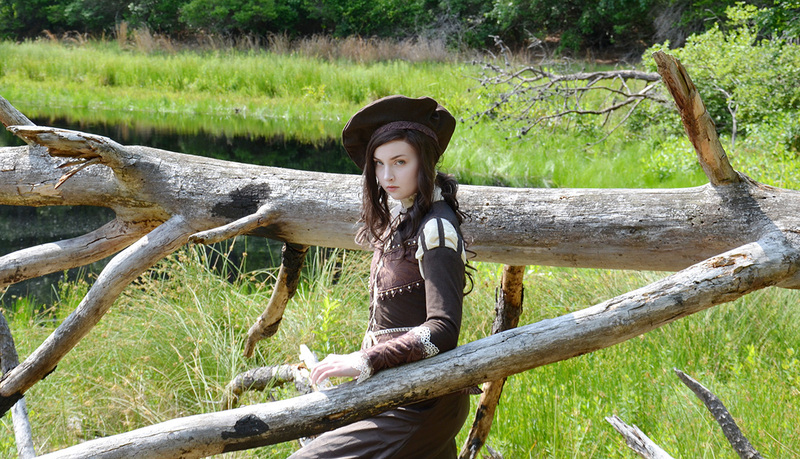 Today I’m sharing how I made the tunic and hat, along with some photos of the finished costume! I started on this tunic ages ago, so I don’t remember the dimensions and measurements I used. But here are how the pieces looked after being cut out. I used a lightweight cotton gauze for the tunic. I absolutely love the feel of this material, and it’s ridiculously wonderful to work. Unfortunately it’s delicate, so it isn’t a great choice for undergarments that will be worn a lot. I still chose to use it since I had some around and it was the perfect shade of off white. 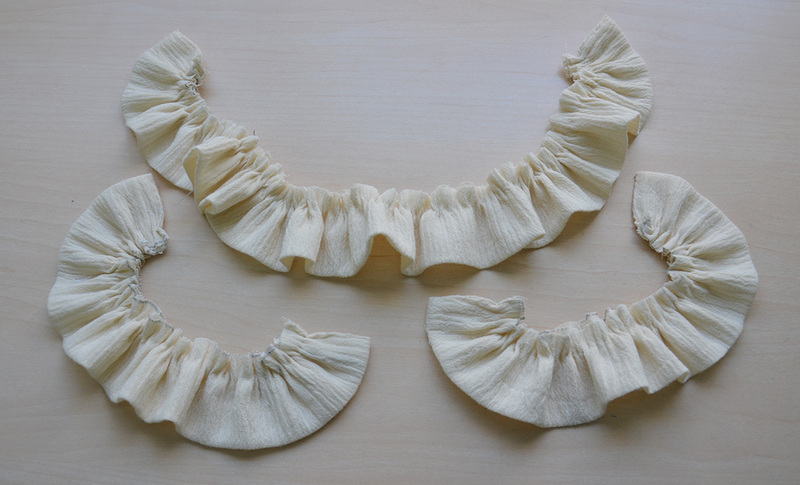 The first thing I did was fold rectangles in half and gather the top edge down to make little ruffles. The smaller ones are for the wrist cuffs, and the larger one is for the collar. 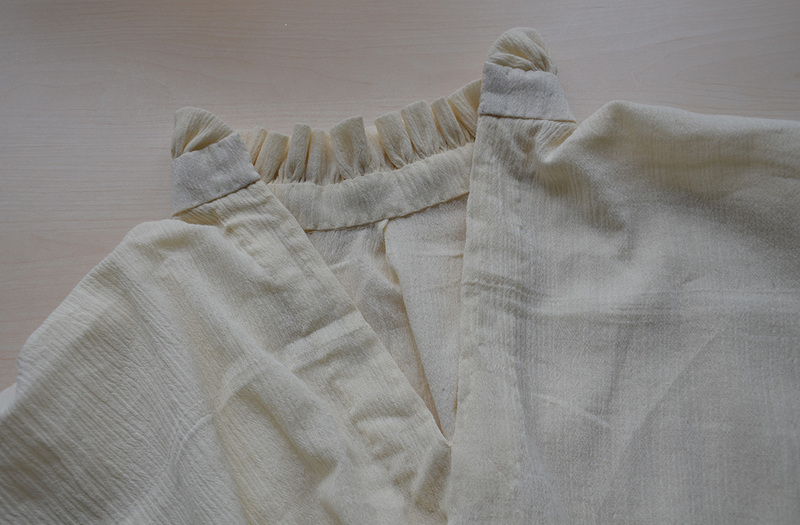 The body of the tunic is made from a rectangle which is folded in half, then a neck hole is cut in the center of the folded edge. I cut a slash down the centerfront so I could easily pull the tunic over my head. The raw edges of the slash got turned inward by a half inch, then I covered the raw edges with bias tape. 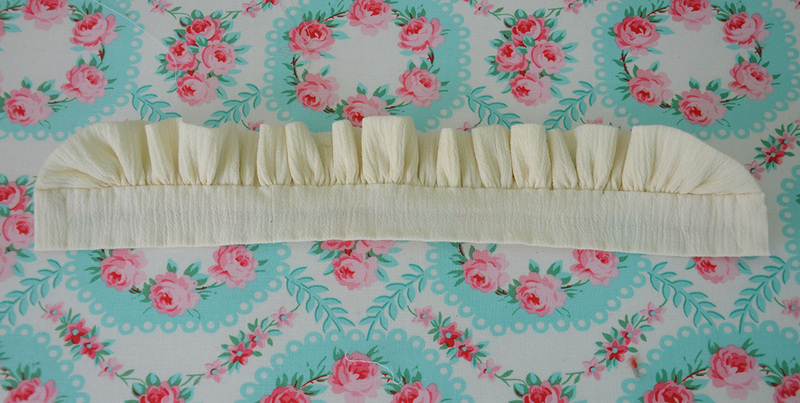 The collar and cuffs are made from two inch wide strips of fabric. The edges were all turned over by a half inch to create finished width of one inch. 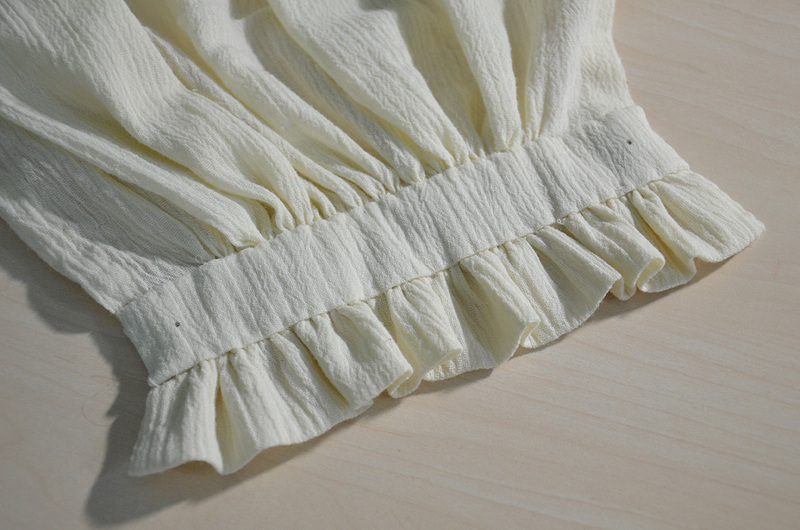 I sewed the ruffle onto the top edge of the collar. Then the collar got sewn onto the body of the tunic. 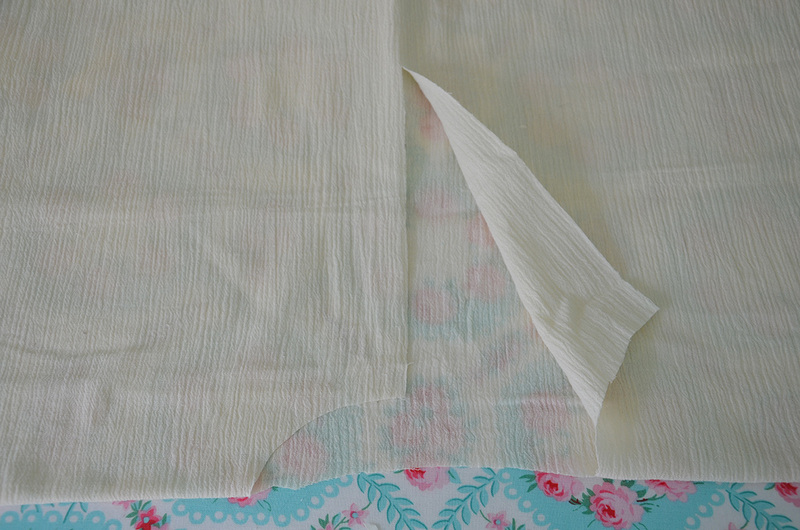 Lining was sewn in to hide any raw edges. 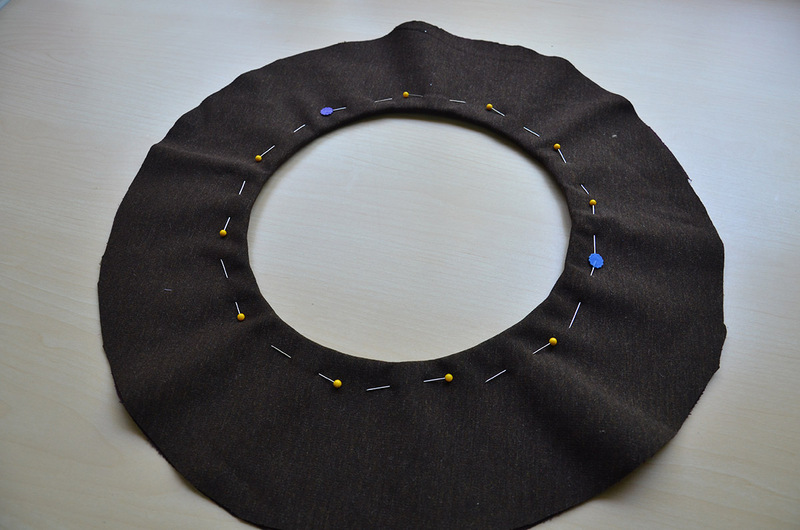 After the lining was sewn in I stitched one eyelet onto either side, so the collar could be closed with cord. That finished off the body of the tunic, so I moved onto the sleeves. 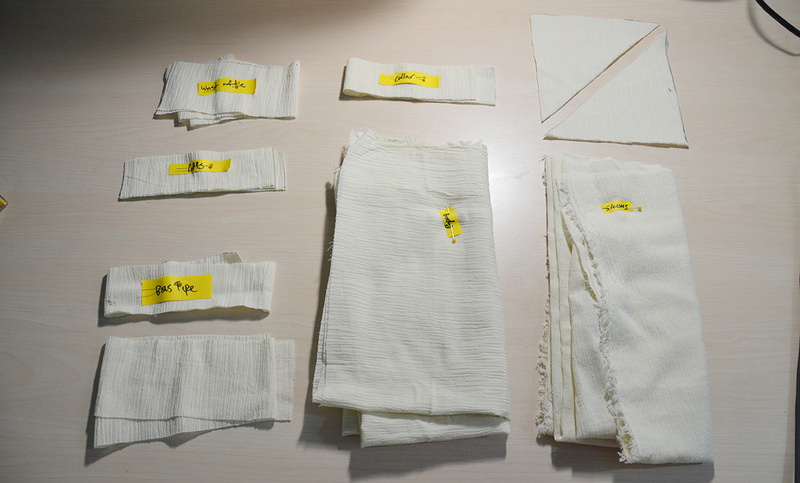 Both sleeves were tightly gathered at the cuff. 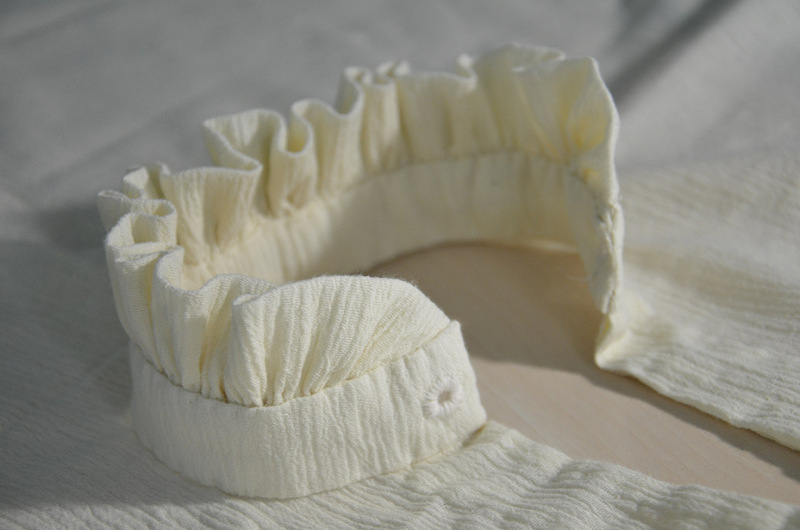 The cuffs were attached, then ruffles got attached to the cuffs. After the lining was sewn in I finished the cuffs off with eyelets so they can tie closed. And that is where my progress pictures for the tunic end. 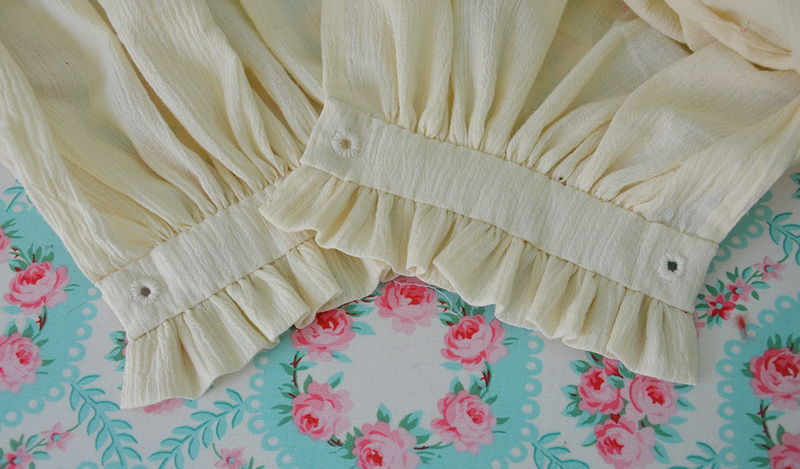 I sewed gussets onto the tops of each sleeve with french seams. 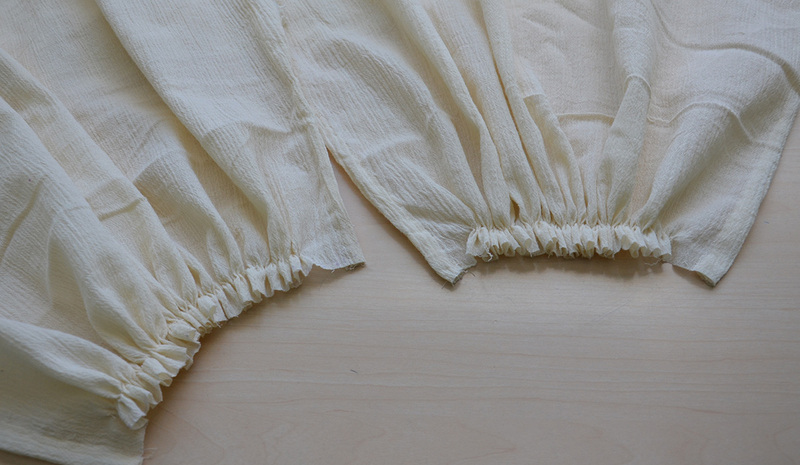 Then the sleeves were sewn onto the body of the tunic with french seams. Finally the side seams were done up, and the lower edge was hemmed. Now, onto the hat! 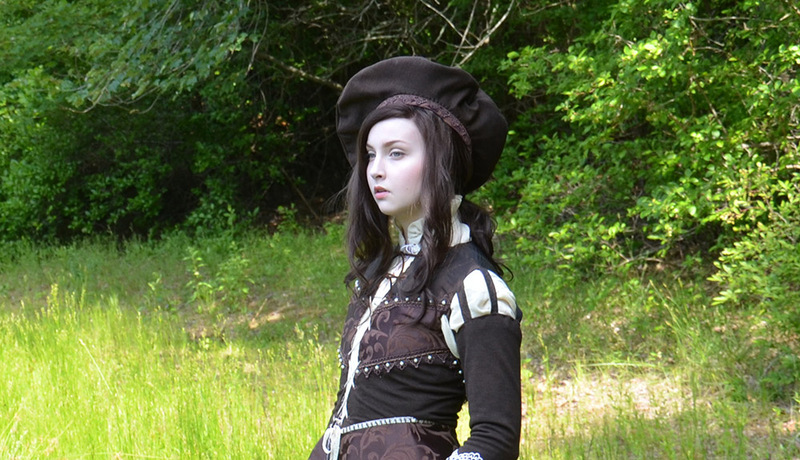 I decided to pair my doublet with a beret. 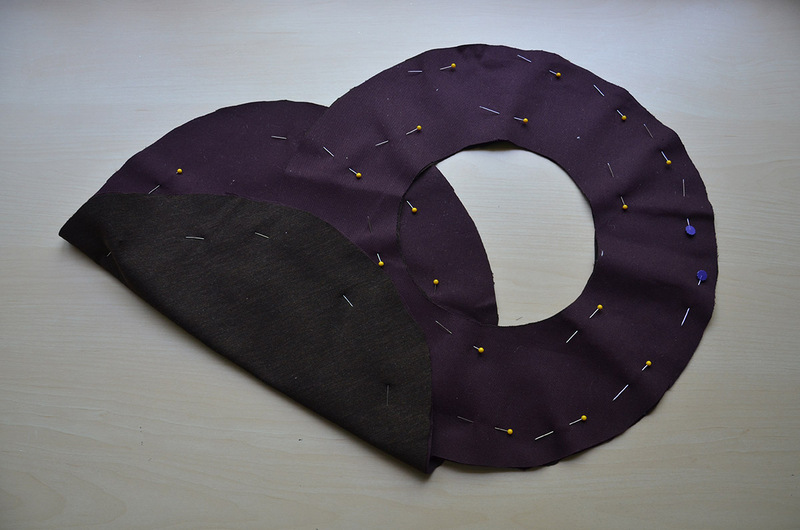 Berets are super easy and made from three pieces of fabric: A circle, a circle with a circle cut out of the center, and a rectangle. That’s it. I cut those pieces out of a thick brown canvas. 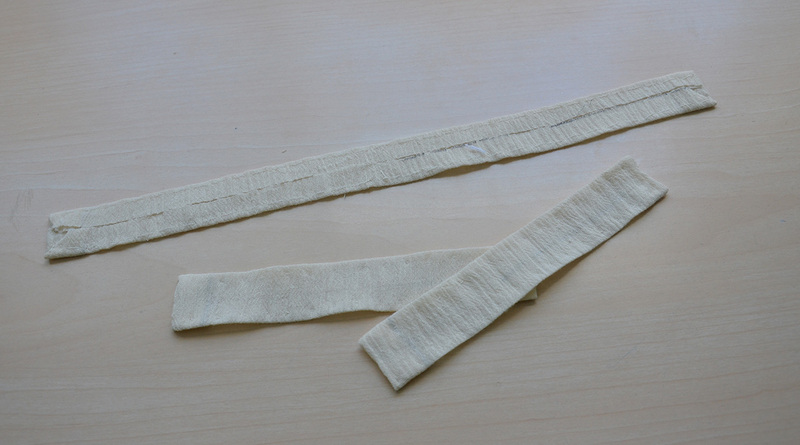 Then I used these as a guide for cutting out the top layer of my beret, which is a brown stretch jersey. 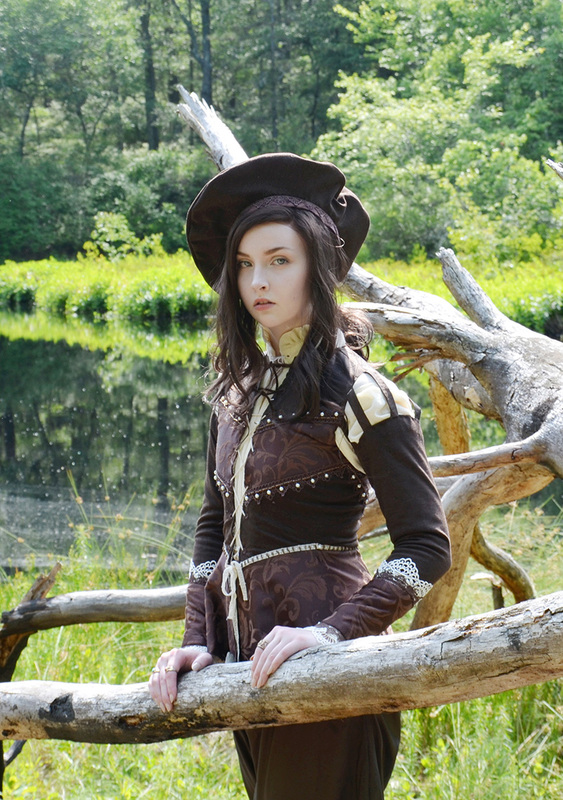 Definitely not the best choice for a hat, but I used it on the doublet and I wanted them to match. Here are the layers pinned together. 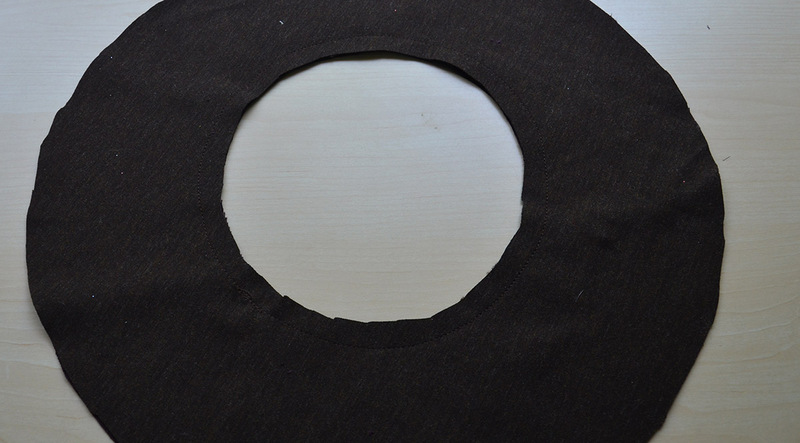 With the right sides facing each other I stitched a half inch away from the edge of the inner circle. 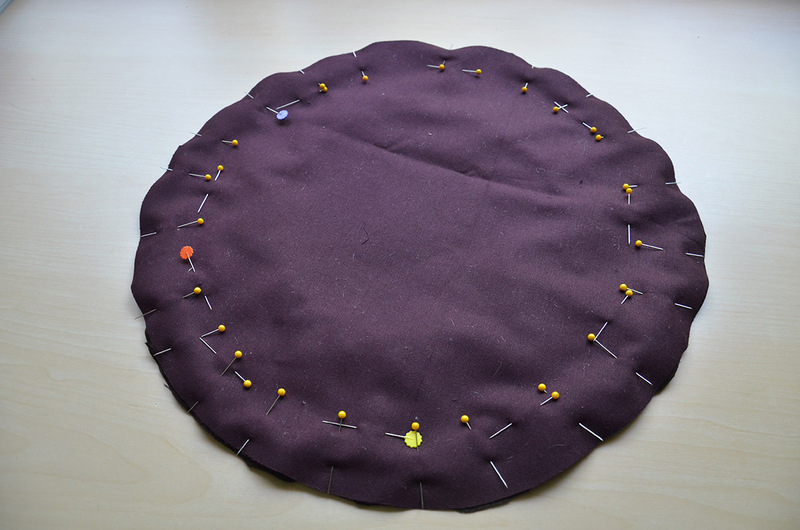 Then I turned the fabrics the right way out, this creates a finished opening where the hat will fit on the head. I stitched around this edge by hand. 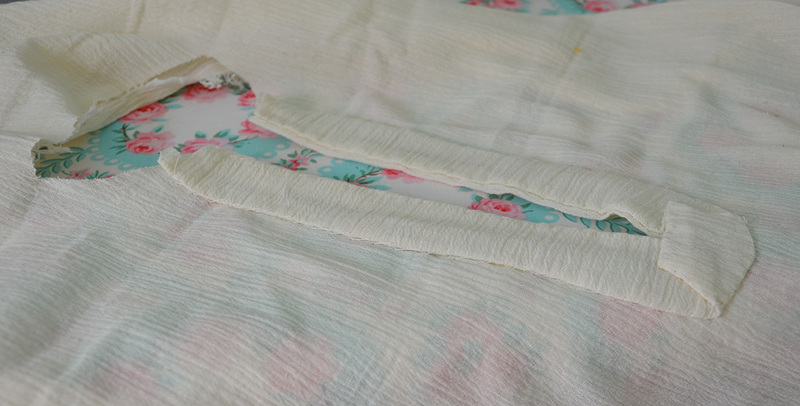 Then the two pieces got pinned together and I sewed a half inch away from the outer edge. Once it was turned right side out I had a hat! 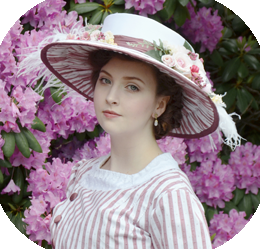 I turned the edges of a rectangle inward and trimmed it with some lace, then sewed that to the opening of the hat. This created a band/brim that I pinned onto my wig. I would have loved to decorate this with feathers, but the pheasant feathers I bought with this in mind were too large and the wrong shade of brown. I paired this costume with a wig from color.salon on ebay, the shoes are from payless, and the socks are from charlotte russe. This costume is menswear inspired and I tried to mirror that with the styling – the wig is still long but it’s tied back and i’m not wearing nearly as much makeup as usual. And that’s it! I’m not totally happy with how this turned out, but I like how different it is from my other projects. I’m planning on making another menswear inspired ensemble very soon. Hopefully my next attempt will be a bit more historically accurate because this is all over the place. Awesome! Don’t know where you get your inspiration from but I love it! You rock! This is fantastic! It’s adorable yet boyish. It’s great that you push yourself outside your usual gowns and dresses. I hope to see more like this in the future! I can see one of Shakespeare’s disguised-as-a-man romantic comedy heroines wearing this! I am glad to see that the photos were taken outside. Inside photos work very well, but an outside setting turns the dial to eleven.